If for some reason your payment doesn’t go through, email me and I will help you promptly. 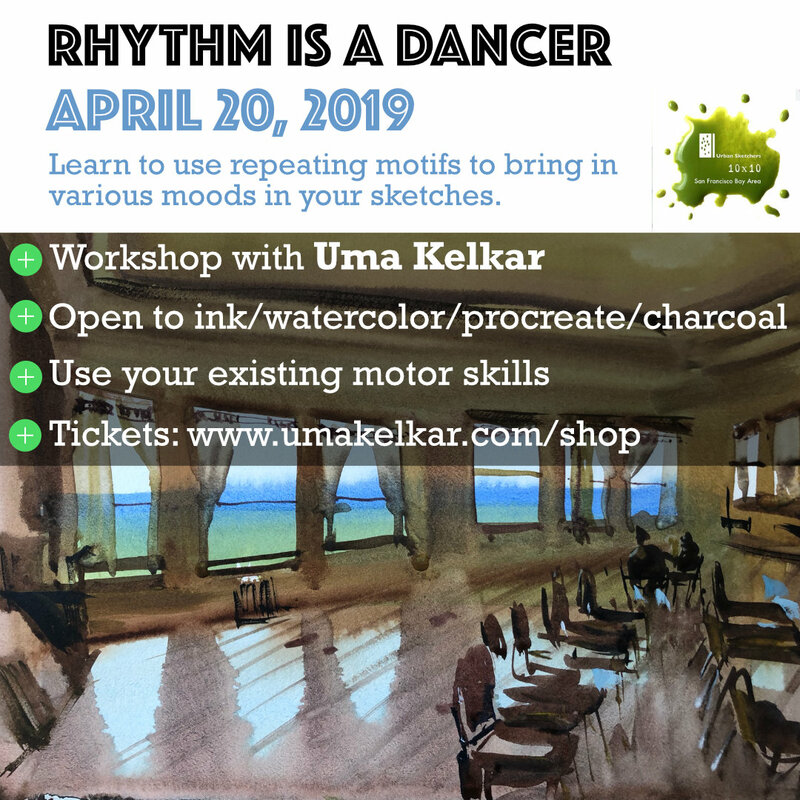 This is an investment workshop – we will invest in our art and get the best return on investment by employing just enough shapes, colors and strokes. 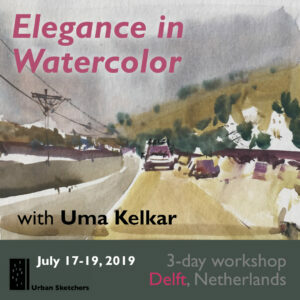 This is Uma’s definition of elegance and we will study how to use just enough design elements to make watercolors sing. 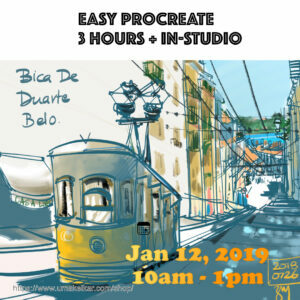 Exercises during two days will build up towards a quarter sheet or larger painting on day 3. 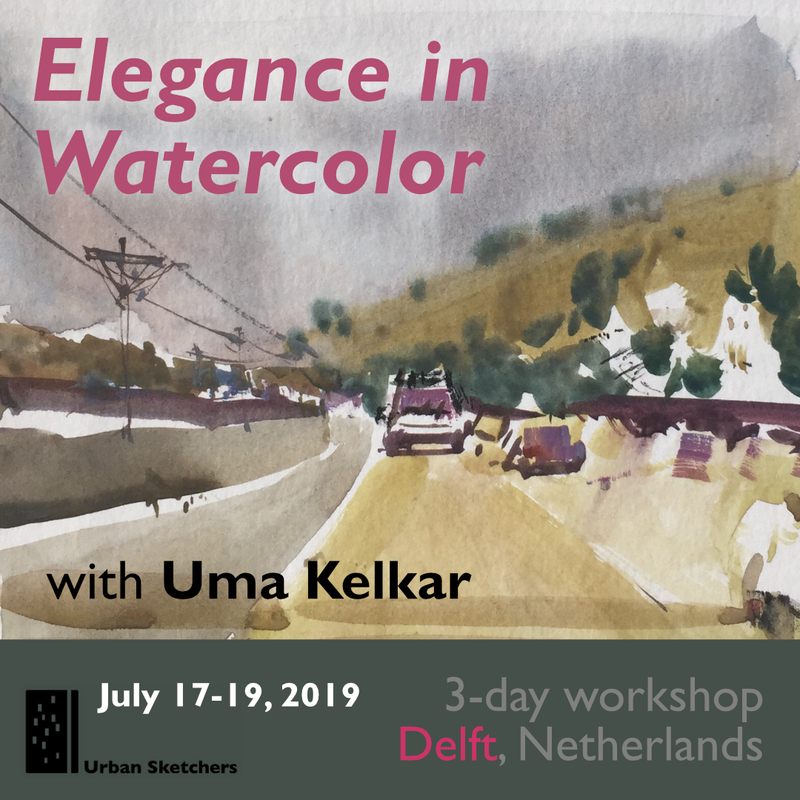 We will focus on the technical skills at the beginning followed by discussion of elements of design and Uma’s philosophy of painting. We will also do a few verbal exercises and exercises that help us ‘look’ or develop the artist’s eye. If you’ve always wanted to overcome the fear of wet in wet painting, rest assured that at end of the workshop, you will feel more confident about approaching it independently. The workshop promises to be full of rigorous exercises and exhaustive mental challenges which will leave you spent but stronger – like how a weight training or yoga class should leave you! 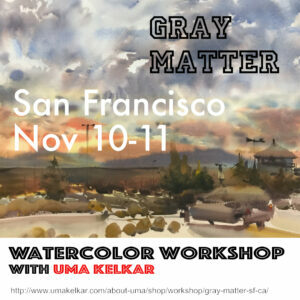 The group dynamic is a wonderful opportunity to experience different perspectives within wet-in-wet style of painting. There will be 1-1 discussions at least twice a day and a critique at end of day two and three. 9AM-4PM with time for lunch in between. Location will be close to city center. Exact location will be emailed after June 15, 2019. If you sign up, it is assumed you’ve read the FAQ below, so please do read! 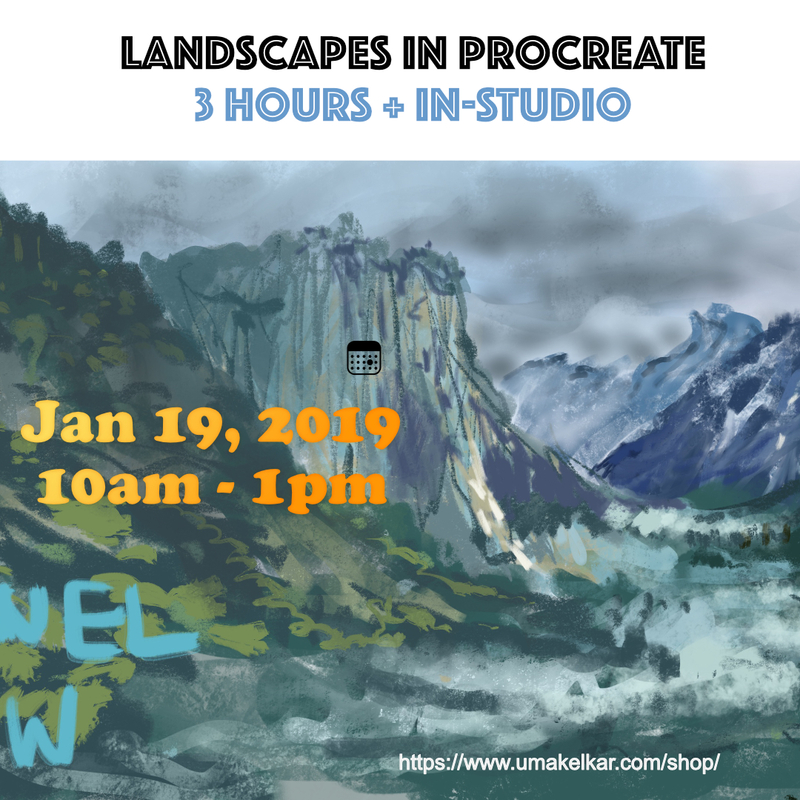 Is this a plein air workshop? This is a three day plein air workshop. Supply list along with location will be emailed to you upon booking your ticket & two weeks prior to the workshop. We will be maximum 15 of us. Refunds will be issued if minimum number of participants is not met by June 15, 2019. No refunds after that unless instructor cancels the class. 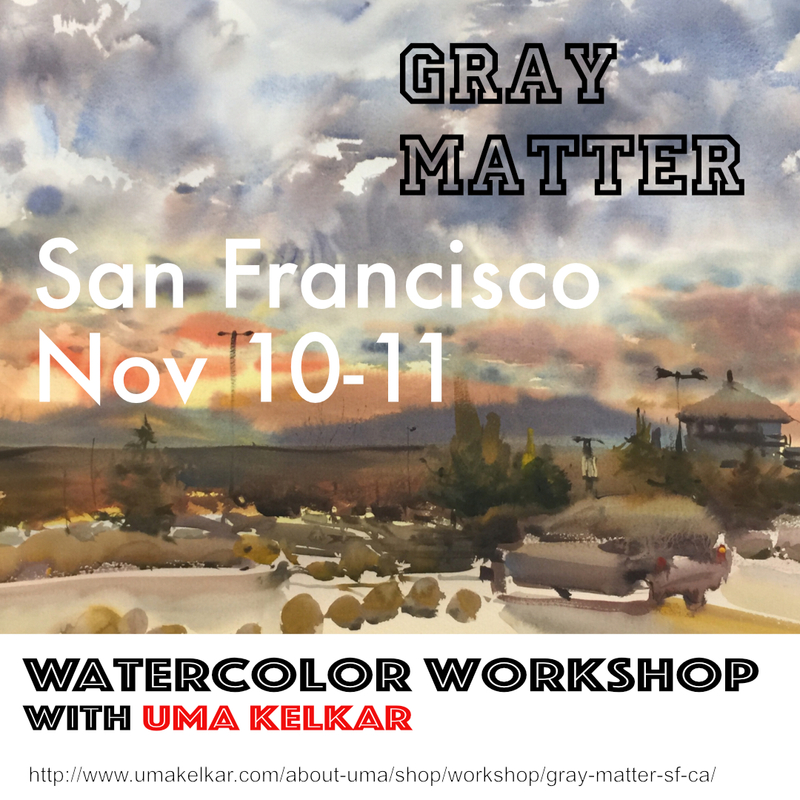 Is previous watercolor experience required? Yes, previous watercolor experience is needed. What’s provided in the fees? The cost of workshop covers instructor fees and lifelong skills that you will gain from it. Food, travel, accommodations are to be arranged by participants. We may have group dinner on one evening. If there are 3 hour workshops, why teach a 3 day workshop? 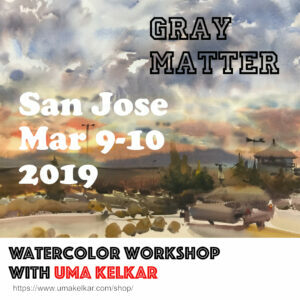 USK symposium workshops are 3 hour long workshops held outdoors. This is a more intense workshop where we will build upon daily exercises . An extended workshop works at a slower pace – but allows to cement the basics it needs to cover for a strong outdoor painting session on day 2. Longer time duration also allows for more material to be explored. The pace and duration in turn have been shown to boost confidence of the students and that increases the happiness quotient of class participants as well as the instructor.